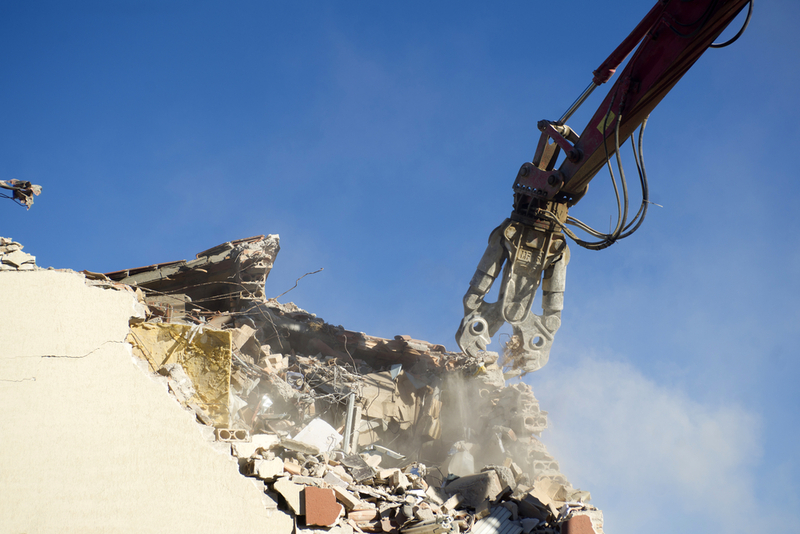 Demolishing or refurbishing a building is fraught with potential hazards, not least of all those harmful materials used by builders in decades past. Many of the hazardous materials present in both commercial and residential buildings do not pose a risk to human health until they are damaged or exposed to air and light, so it’s possible for people to live or work in a building containing hazardous materials for decades without suffering any ill effects, but once the demolishers or renovators come in, they become vulnerable. This week, we take a look at seven of the most common hazardous materials present in buildings around Melbourne, which may become a threat to human health as a result of demolition or renovation activities. Between 1930 and 1983, asbestos was a widely used building material in Australia, and the lung conditions which result from asbestos being inhaled are absolutely devastating. Asbestos is only dangerous when it is airborne, so asbestos which is friable (crumbly) or bonded asbestos which has been damaged can both cause issues. Often used as insulation or as a reinforcing agent, synthetic mineral fibre is the modern replacement for asbestos and includes man made materials such as glass fibre, mineral wool and ceramic fibre. Although they look similar to asbestos, SMEs cause much milder health issues including skin irritation, and upper respiratory tract irritation. Widely used as an insulating fluid for electrical transformers and capacitors between 1930 and 1970, PCB is present in many older electrical systems. It produces a number of hazardous bi-products as it decomposes and has been linked with a number of serious health conditions including thyroid disorders and birth defects. High levels of lead carbonate were used in almost all kinds of house paint in Australia up until the 1970s, when it began to be government regulated. Lead paint becomes dangerous when it is allowed to dust or chip, and once disturbed, can re-settle in the carpets, floors and even soil for decades. These particles can contribute to lead poisoning in humans which can include nervous system damage, and intellectual as well as physical disabilities in children. ODS describe a family of man made chemicals which were commonly used in manufacturing from the 1920s onwards and have contributed to the depletion of the Earth’s ozone layer. Although they are not toxic to humans, ODS have contributed to the depletion of the Earth’s atmosphere and need to be properly removed and disposed of. Common sources of ODS include air conditioning units, fire extinguishers, and industrial cleaning products. Toxic mould is a common occurrence in older houses and can cause a wide range of health problems ranging from watery eyes through to asthma, breathing difficulties, and even depression. There are hundreds of different types of mould and many different toxic varieties including aspergillus, cladosprium, stachybotrus atra, trichoderma, penicillium and fusarium. Mould grows anywhere that is cool, dark, and damp and it can pervade virtually any type of building material or soft furnishings. Common places to find it include in carpets, behind walls, in insulation, in air conditioning ducts and air shafts, fibreglass, wooden surfaces and wallpaper. Many former industrial sites have underground stores of chemicals or waste which history has forgotten. Alpha Environmental are seasoned environmental consultants with ample experience conducting Hazardous Materials Audits on demolition and refurbishment sites around Melbourne. To learn more about our capabilities, please don’t hesitate to get in touch with us by calling 1300 039 181.